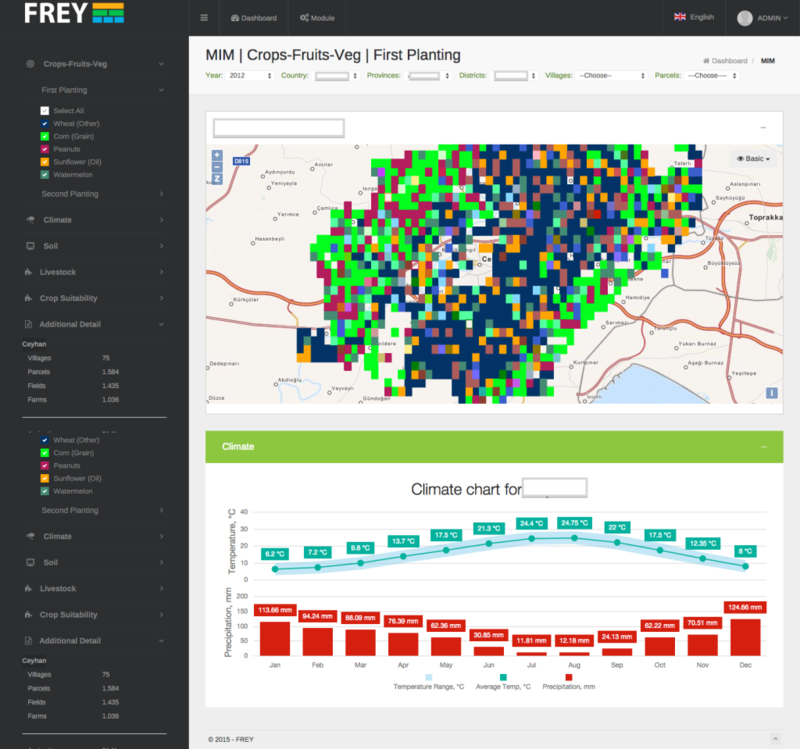 With the customised dashboards of FREY, it is possible to monitor Key metrics and KPI’s instantly as well as for selected periods. Dashboards are totally custom-built based on the needs of the client, depending on their KPI’s or any other data they want to monitor. They can provide an overview and any comparison by combining the outputs of the system together with external data. Thanks to the the flexibility to drill down and filter on time and area or farm on the dashboards, analysis and comparisons are done in seconds. 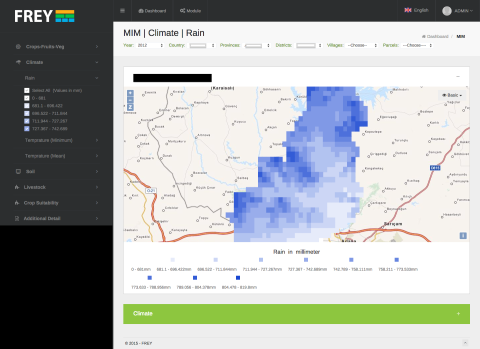 Dashboards include different possibilities of visualisation such as GIS maps, counters, graphs,pie-charts and tables.